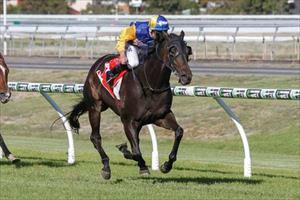 The New Boy continued his strong form this preparation with an excellent win at Morphettville at the weekend. The seven-year-old settled outside the leader for apprentice jockey Josh Cartwright before taking over at the top of the straight to record the dashing victory. It was a local win for his owners who are based in the City of Churches. "We are thrilled to get this result for his owners on their home track and it's great for the horse to turn his good form into another metropolitan victory," trainer Danny O'Brien said. The win was seven-year-old gelding's sixth at his 49th start and took his earnings past $400,000.